You probably think you’re a big shot because you have a remote starter on your car, right? Well, Batman doesn’t just have a remote starter on his Batmobile; he has the ability to drive the damn thing with his voice. 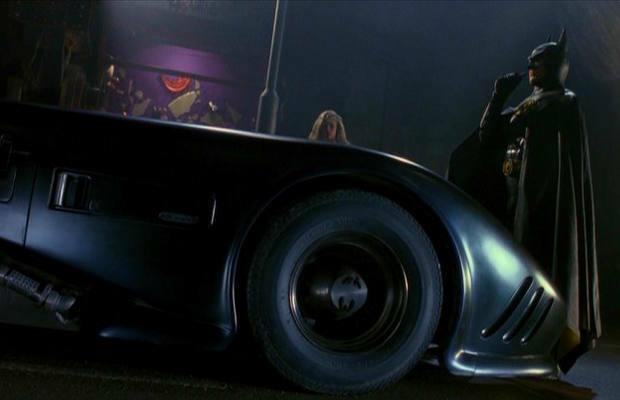 While escaping from the Joker with Vicki Vale in the 1989 version of Batman, the Dark Knight ordered the Batmobile to pick them both up through the use of a voice-activated remote control. Within moments the car was there ready for Batman to hop in. More recently in The Dark Knight, Batman used a similar technique on the Scarecrow and some members of the mob to intimidate them in a parking garage. Again using some type of remote control, Batman ordered the empty Batmobile to fire rockets blindly at parked cars to terrorize his targets. No doubt it’s a cool gadget to have, but we’re not sure the owners of these now-smoldering piles of former automobile could see the novelty of such an invention.